Spanish prime Minister Mariano Rajoy, the French Minister of Culture Fleur Pellerin and mayor of Málaga Francisco de la Torre will the most prominent under the 4000 invited guests. However there is only room for not more than about 1000 persons. The rest of them is invited to visit CPM for free on the 2 days after the official opening. The first venue outside French territory of the prestigious Parisian museum attracts many looks and desires, but no space to fit many. 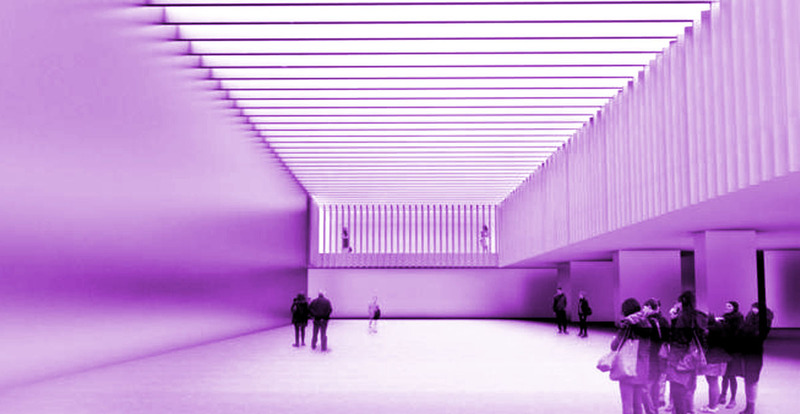 Expectations and forecasts are soaring and the city of Málaga has received more than 4,000 requests to attend the new museum space. Institutions, cultural centers, museums, collectors and cultural managers in Spain, France and other countries have addressed the Consistory to be included in the coveted list of guests. But there will be around 1,000 guests who will be part of the inaugural entourage by Spanish Prime Minister Mariano Rajoy and the French Minister of Culture, Fleur Pellerin. Everyone wants to be at the Pompidou Málaga. Striking was the number of requests that have come from Latin American countries. The CPM with a total budget of 6.7 million euros, will be a “laboratory” which will occupy 6,300 square meters of exibition space stated CPM president Alain Sebban. Málaga is a pilot laboratory for testing its international expansion model, which does not stop in southern Europe. This expansion looks firmly at Latin America, where Argentina, Mexico, Brazil and Colombia are positioned to accommodate new headquarters of one of the most visited cultural centers of France, with about 6 million people through its doors each year. Asked about the opening of the St. Petersburg Collection Malaga State Russian Museum, the other major cultural facility due to open the same week, on the 25th, de la Torre provided little information about the opening ceremony. “I have no news yet, but the important thing is that we are already installing the works.” “I don’t know who, but someone (Putin?) will come… ‘ added undoubtedly the mayor. Following a visit yesterday to his new museum, located in the old Tabacalera, de la Torre revealed that “his impression is very positive”, adding that “the Pompidou is very important but not least the Russian Museum Collection”.